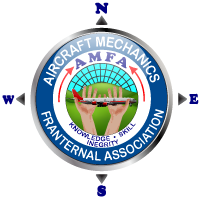 Aircraft Maintenance Technicians and related craft, like all union employees in the airline industry, are subject to the rules of the Railway Labor Act (RLA). 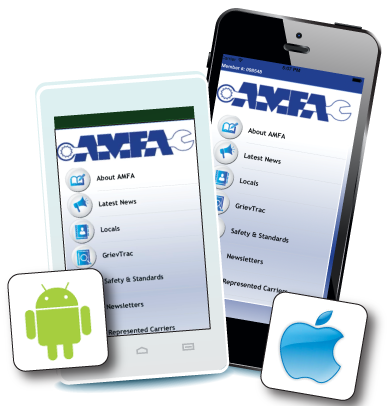 The RLA dictates the process by which AMFA negotiates its collective bargaining agreements with our carriers. The processes and procedures under the RLA can be confusing and this edition of the National Brief is dedicated to helping our members understand how it works. The RLA is the federal law that governs labor relations in the airline industry and is enforced by the National Mediation Board (NMB). The purpose of the RLA is to avoid any interruption of commerce by providing for the prompt resolution of disputes between carriers and their employees and to protect the rights of employees to organize and take part in collective bargaining. The RLA settlement process starts with a determination of the type of dispute that exists. A major dispute involves the formation of a new bargaining agreement or substantial alteration of an existing one, usually involving new rights. A minor dispute simply involves the interpretation of an existing agreement and is directed at rights already in place. When either party wishes to open negotiations, they initiate what is called "Section 6 Notice," and the other party must respond within 10-days to this filing, at which time the parties agree to confer within 30 days. The two parties then begin direct negotiations. Under the RLA, negotiation sessions go on until either party thinks there is not enough progress. At this point, a request under the RLA to the NMB for mediation follows. Mediation is the discussion process that attempts to bring the parties together. There is no time limit on how long mediation lasts. The RLA dictates the process depending on the two types of disputes. The most important procedural difference is that a major dispute imposes on the parties a legally enforceable obligation from altering the status quo while negotiations continue. A minor dispute is silent on this point and is generally held that the parties need to maintain a status quo pending the resolution of a minor dispute. During the mediation process, the NMB can decide that there is no basis for settlement and order binding arbitration. Either side can reject the binding arbitration, at which time the Board declares a state of impasse exists. A 30-day cooling off period follows. After that time period ends, the parties are forced back to the bargaining table to make decisions. The original contract is still in place under the status quo rule. It remains in effect until the settlement is reached. If both sides voluntarily agree to binding arbitration, an Arbitration Board of up to six members is established. Each side selects an equal number of arbitrators, who then select the additional member or members. If either labor or management decline voluntary arbitration and if the NMB decides that the continuance of the controversy threatens to interrupt interstate commerce in any section of the nation, the NMB is required to notify the President, who may, at his discretion, create a fact-finding Presidential Emergency Board (PEB). If the board is appointed, they must make their recommendations within 30 days. The board may, however, ask either party for additional time to investigate. The President may also allow an additional 30 day extension for the board to complete its investigation. During this time the parties must maintain the status quo. If the President chooses not to appoint an emergency board, after the 30-day cooling off period either party may initiate self-help in the form of strikes or lockouts.